visualization and PIV from Yokohama, Japan. 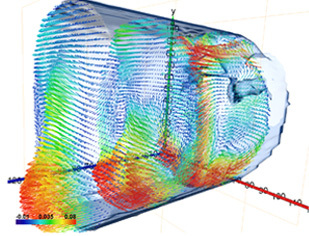 Our continuing challenge to providing the best solution for flow diagnosis. FtrPIV is the fruit of the experience and technical know-how we have accumulated through many consignment measurements. 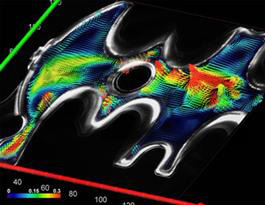 This fluid image analysis software can be used in a wide range of business types and forms.It is completed as a product with high use value enhanced by adding PTV and PIA functions as well. FtrPIV software was created in-house by our experienced staff. It is always with you and constantly evolving. It is available by placing purchase order to us. Balances versatile functionality and smooth operability. High expandability and outstanding performance. Designed for maximum ease of use. A versatile full-volume PIV system based on the sophisticated combination of Tomography & Stereo PIV. 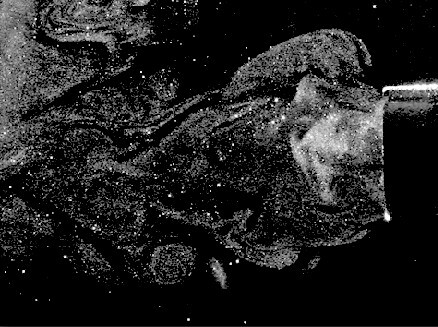 FtrTSPIV is an effective full-volume PIV system that utilizes the new technique of Tomographic Stereo PIV. 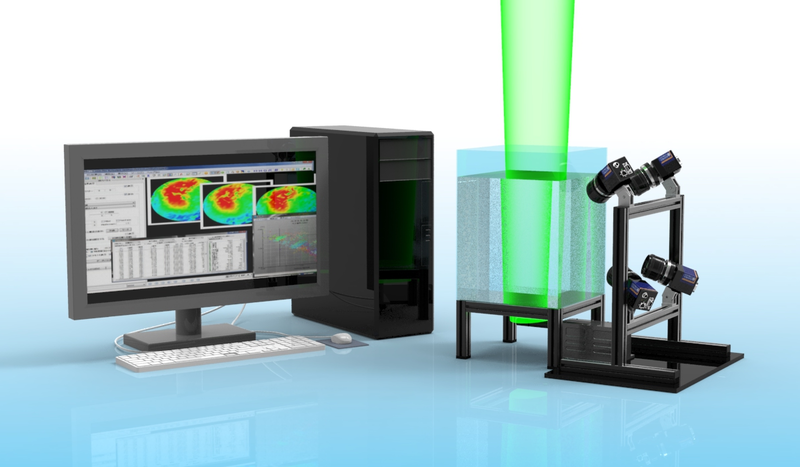 The system features high-speed data analysis and light data capacity and can be easily expanded from our reputed Stereo PIV (FtrPIV-Stereo). Dynamic PIV Revolutionizes Flow Measurement. Combining reliability and expandability, FtrPIV-Dynamic achieves high temporal resolution. Flexible customization opens up new possibilities for flow measurement. Dual electronic shutters for combustion field PIV measurement. 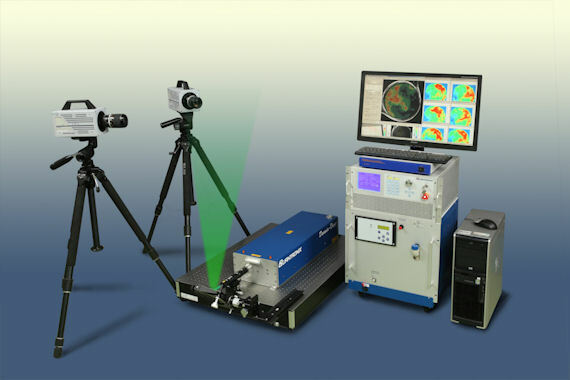 This newly developed camera system, unlike conventional PIV cameras, is suitable for PIV measurement of flow field against a high-brightness background due to plasma emission, combustion, sunlight, etc. While conventional digital PIV cameras acquire the 2nd particle image only with their electronic shutter disabled, the FtrDSC is capable of activating its dual electronic shutters independently in the acquisition of both 1st and 2nd particle images, thus realizing optimum PIV imaging without CCD saturation. The price information can be provided upon inquiry. The 17th International Symposium on Flow Visualization (ISFV17) to be participated. (June 19 to 22, 2016 in Tennessee, USA). 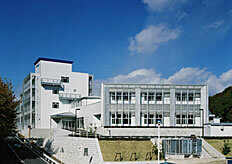 11th International Symposium on Particle Image Velocimetry (PIV15) to be participated. (September 14 to 16, 2015 in Santa Barbara, CA USA). Click here for inquiry about our products. Copyright (C) Flowtech Research Inc. All Rights Reserved.